Chinese President Xi Jinping. China is battling global scrutiny on its economic influence. 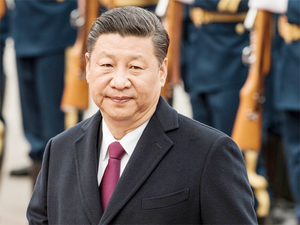 Chinese President Xi Jinping speaking and praising former leader Deng Xiaoping at the country’s 40 years of reform on Tuesday said, that China will not seek hegemony and not develop at the expense of the interests of other countries. He said, China is fast approaching the center of the world stage because of Xiaoping’s market reforms that saved the country from the brink of economic collapse 50 years ago. China is battling global scrutiny on its economic influence as trade friction with the United States is ongoing. He expressed support for a multilateral trading system.